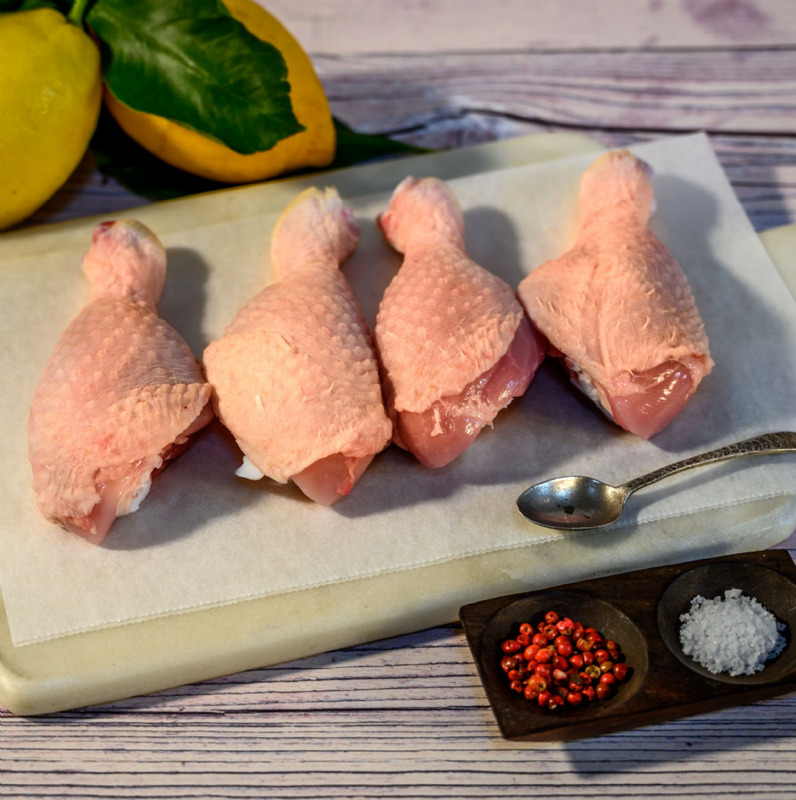 Four boneless organic chicken thighs from Springfield Poultry free-range organic hens. An organic farm we know and trust. 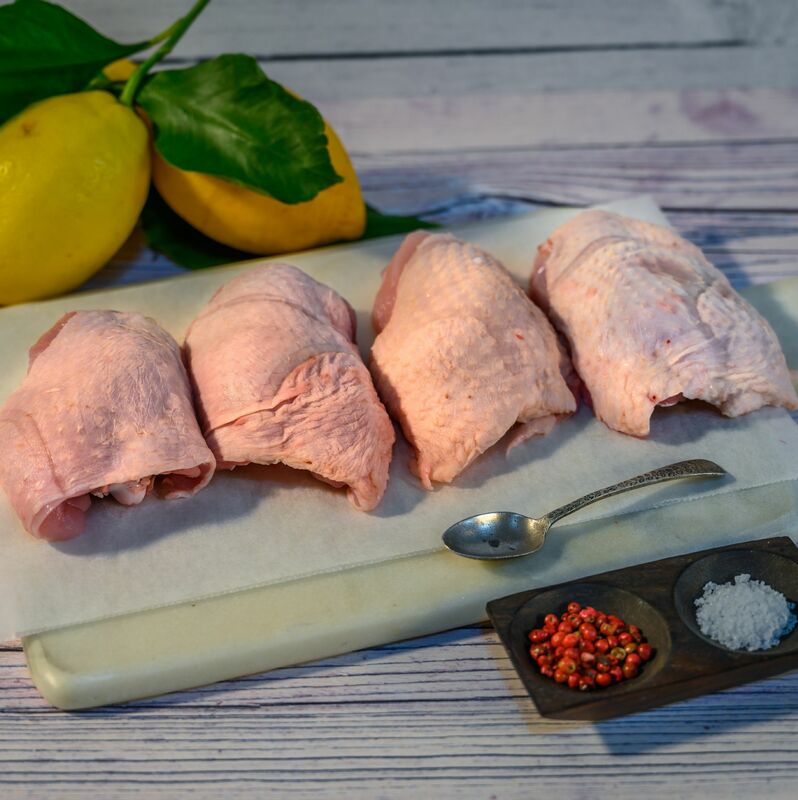 Where the birds are free to roam on organic pastures, with over 50 years of poultry farming, the chickens at Springfield Poultry are proudly bred with love and care using only a healthy diet. 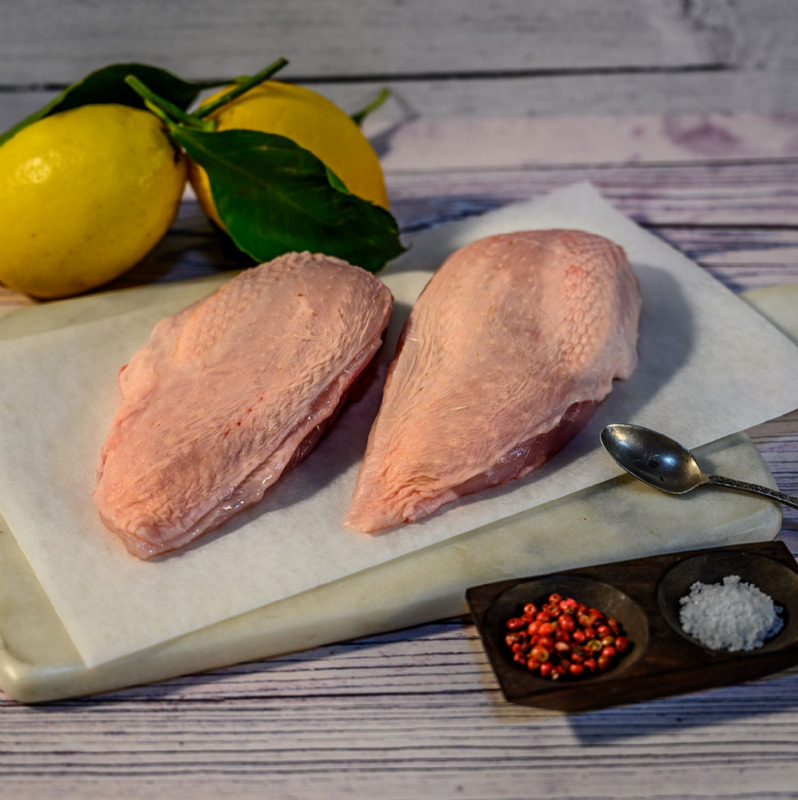 This gelatinous cut is great for casseroles and curries, try the bone in skin on thighs for Coq au vin, tasty, simply healthy and inexpensive – an allrounder. As we all know there are so many ways you can cook chicken thighs, varying from baking, frying and of course on the sizzling BBQ. You can even dice and slice this organic chicken cut to throw into a pot of home made curry or flavorsome soup.